Lion One Metals Limited is pleased to announce important news on the continued progress of the development of its 100% owned and fully permitted Tuvatu Gold Project in Fiji. The Company has issued a tender for underground mining services and has received competing bids for the EPC contract and fabrication of the Tuvatu processing plant and construction of the supporting infrastructure. It is envisaged that the EPC contract will be signed as soon as agreement is achieved on final terms and conditions to allow work to proceed quickly. The Company is currently completing the final bulk earthworks design as it intends to start excavation on the mill site to be followed by commencement of mining. 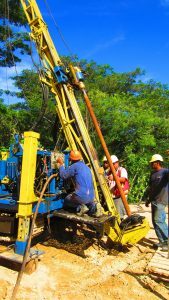 Exploration and infill drilling continues with two drills on site. Assay results are pending in the next few weeks.